Android 6.0 Marshmallow is the latest upgrade from Google, facing the same problem as other smartphones with Marshmallow version, the first bunch of UMi TOUCH is expected to be unstable compared to Lollipop ROMs. 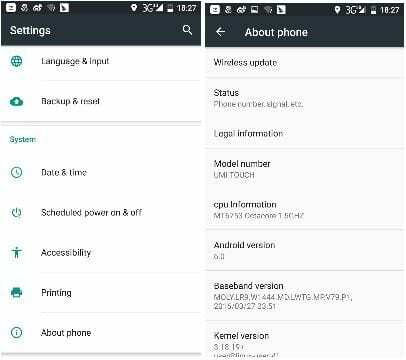 However, UMi the company promised that they will keep release ROMs to fix this problem from Google, install available from OTA. After the first OTA update, UMi collect the feedback of users , then release the Second OTA Update for the best user experience! 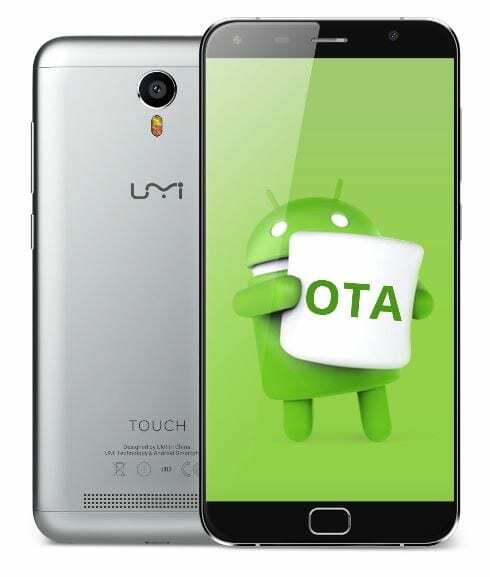 To recall UMi TOUCH features a front fingerprint scanner, 5.5-inch FHD display with 2.5D glass and octa-core processor. There will be 3GB of RAM on board and 16GB of internal storage which is further expandable via MicroSD. At the back, there will be a 13MP Sony IMX328 camera and a 4000mAh battery. The phone supports 4G LTE networks and dual SIM dual standby. As for software, the phone comes with the latest Android 6.0 Marshmallow build. 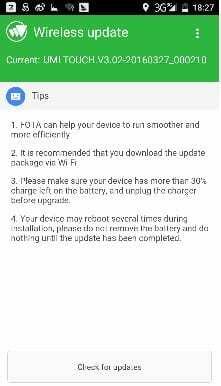 How to install via OTA? The company is encouraging the first bunch of UMi TOUCH users to upgrade this latest ROM for better experience. The forthcoming firmware is also on the way to optimise more detail.